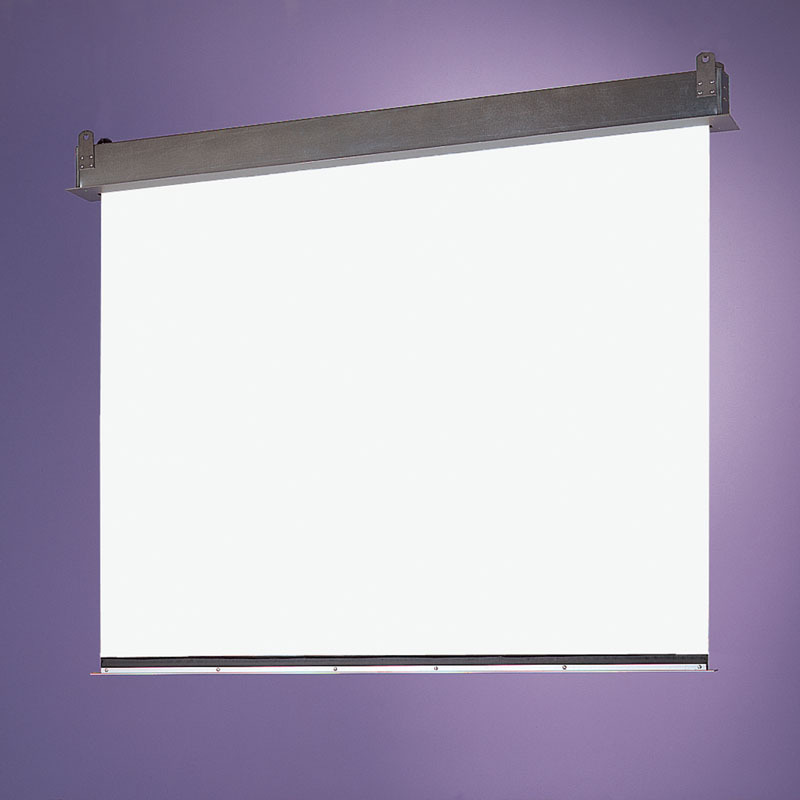 Spring-roller operated front projection screen. Extruded aluminum case installs above ceiling. White closure panel at bottom of screen seals ceiling opening when screen is retracted. Detachable aluminum operating pole is furnished (4' or 6'). Trim flange surrounds perimeter of case to finish installation whether in a suspended or drywall ceiling. Bottom of case and closure are finished in white. The first spring-roller screen with automatic ceiling closure. Extruded aluminum case installs above the ceiling. The Apex features a white closure panel at the bottom of the screen surface that seals the ceiling opening when the screen is retracted. Trim flange surrounds the perimeter of the screen case to finish the installation, whether in a suspended or drywall ceiling. Bottom of case and closure are finished in ceiling white.